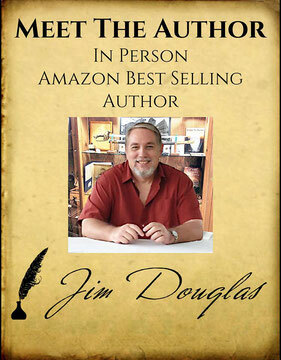 Jim Douglas is a best selling author and Civil War historian, and a serious collector of Civil War artifacts. 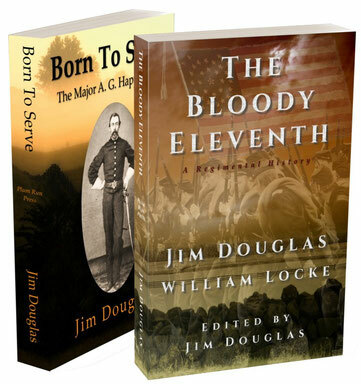 He has authored two Civil War books "Born To Serve, The Major A. G. Happer Story" and the companion book, "The Bloody Eleventh, A Regimental History." 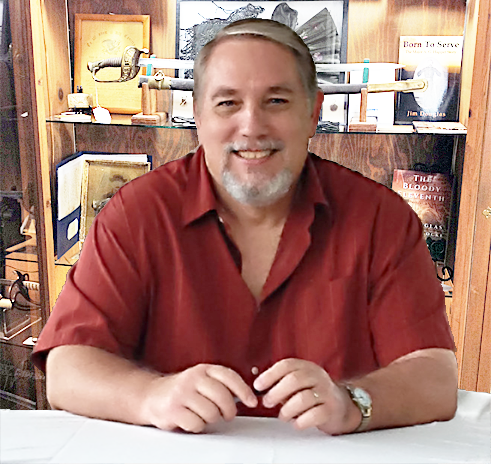 Over the years he has developed a network of friendships with Civil War historians, authors, living historians, battlefield guides, re-enactors, collectors, experts and dealers across the country. 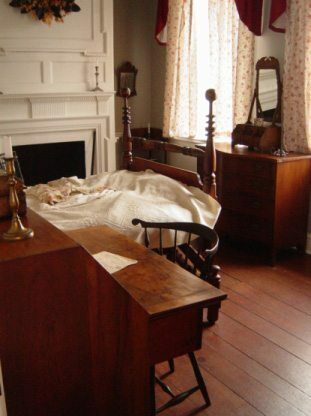 Civil War collectors and dealers often approach him for advice on the authenticity of items, prior to purchase. 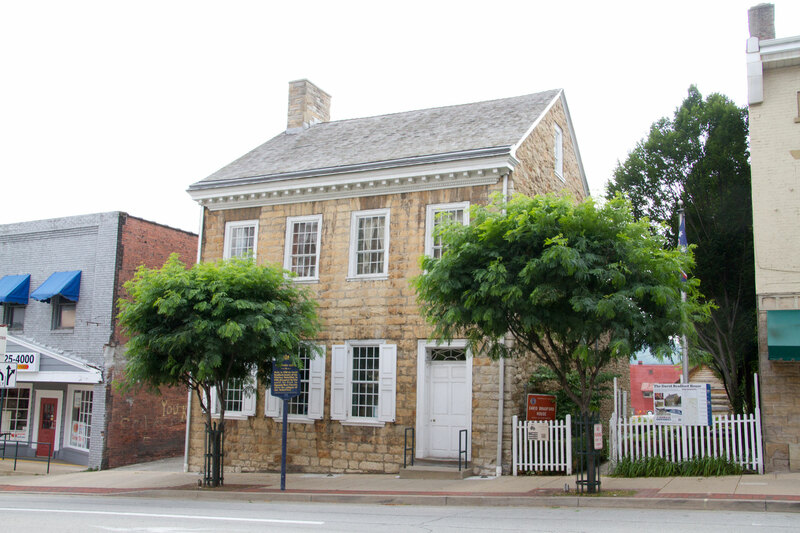 Mr. Douglas has been consulted about Civil War related matters by the Pittsburgh Tribune Review, and has had several feature articles written in the Washington Observer Reporter. 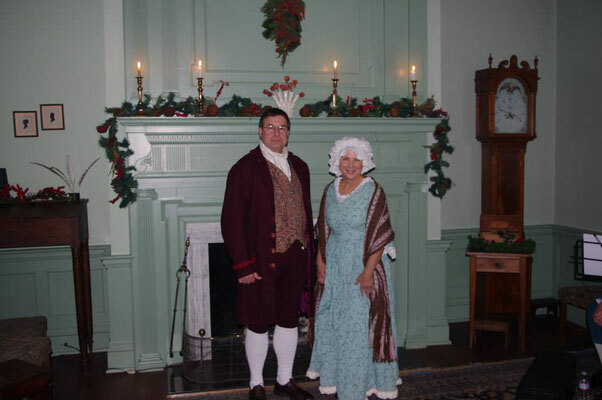 He has also been a speaker at local schools, clubs, events and other venues, presenting various programs about the Civil War. 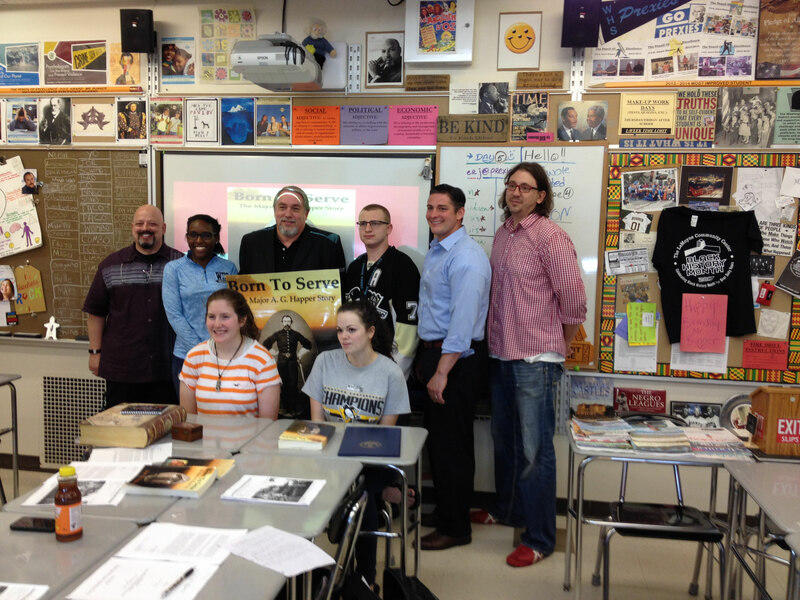 His book Born To Serve is being used in Washington High School's Advanced Placement History Department, and is the keystone in an ongoing effort to bring recognition to Major Happer in the city he helped lead into the twentieth century. 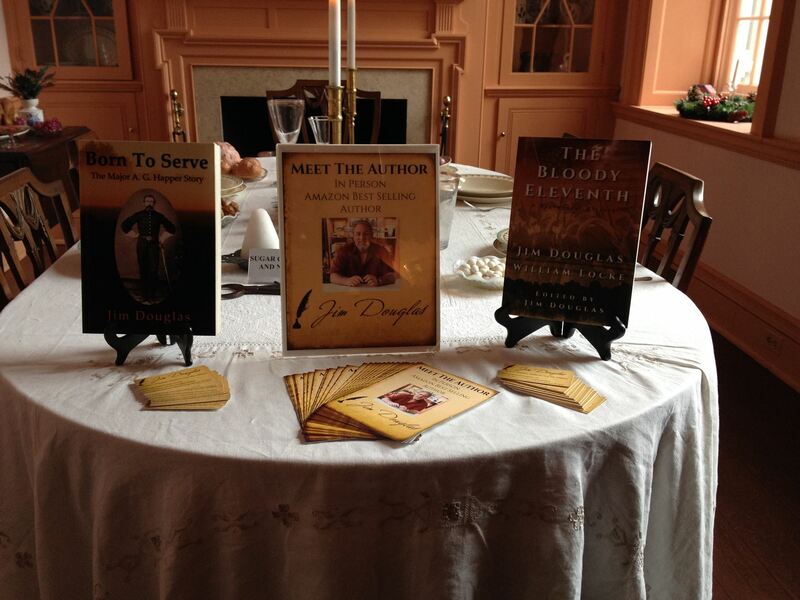 Mr. Douglas has several new book projects currently under development. 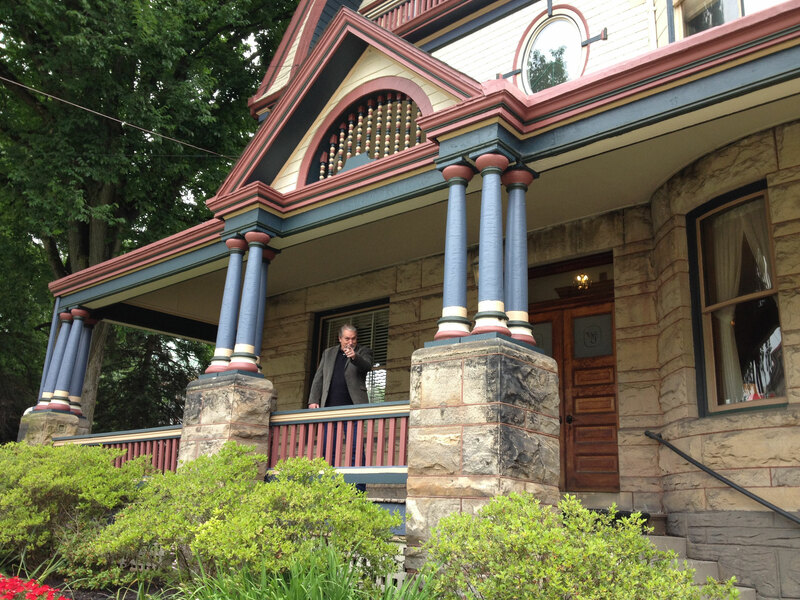 He lives in southwestern Pennsylvania with his wife and family. Look for his next book release in the Fall of 2019. 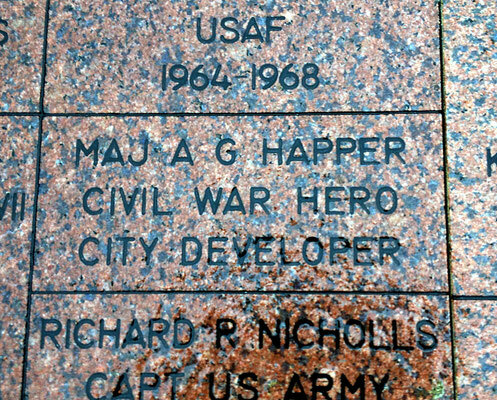 I am pleased to post today the new granite brick created for Major A. G. Happer. 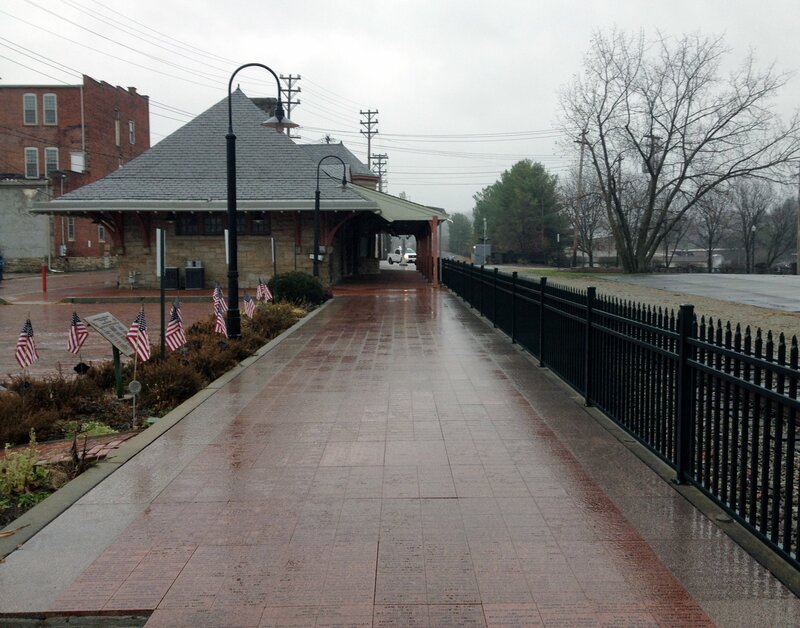 It rests on the Veterans Walkway at the train station in Washington PA. Thanks to the untiring efforts of the Students of Mr. Jeff Bunner's AP History class at Washington High School, this small monument will forever attest to the Major's lifetime of service to his country, state & community. 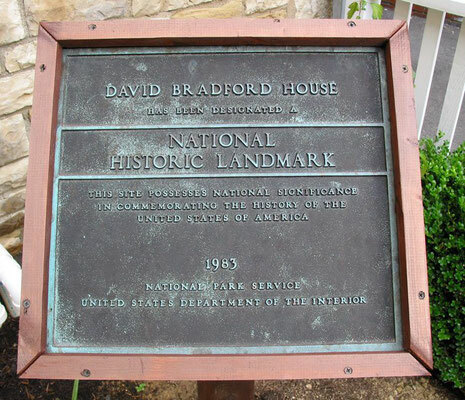 I was honored to learn of this on Saturday while at the Bradford House in Washington, and took the time in the rain to visit & photograph this. Thank you so very much to Jeff Bunner and his incredible students who will never give up the efforts to gain for the Major the respect and credit he richly deserves. Their effort continues today stronger than ever to secure the State Historical marker that the Major qualifies for without reservation. We are also pleased to announce that State Representative Tim O'Neal has joined our team! More updates are coming in the near future. More people are joining in our efforts. Stay tuned, it's going to get interesting! 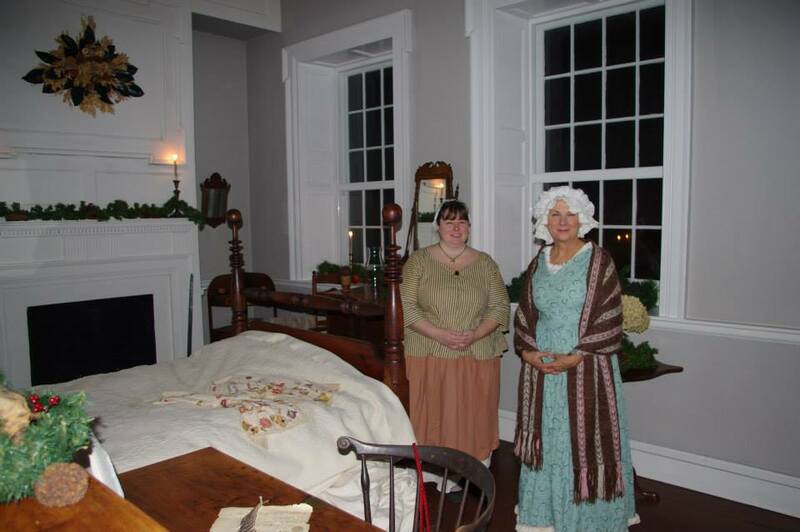 I'm here at the historic Bradford House in Washington Pa for Small Business Saturday. I'm signing books and chatting with the folks. The rain has stopped and it's a great day to stop by for a free tour. If you're not in Washington today, you're in the wrong place. Every time I think of Thanksgiving the image shown here pops into my head. 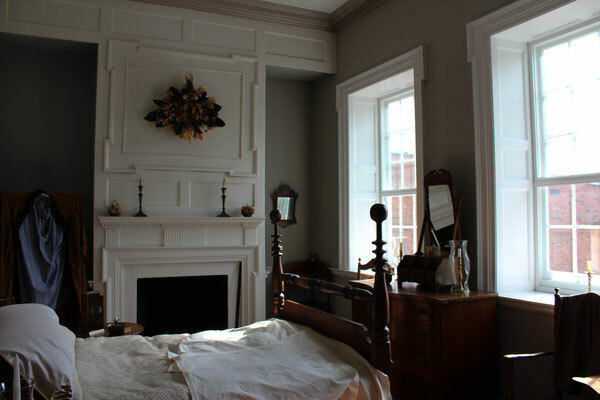 It hearkens back to a time when things were different. In my view, much better than what we have today. We should all be thankful this day and every day for the blessings that we have been given. We are so lucky to have been born in the United States of America. We enjoy today the fruits of the labors of those that have gone before. Our founders sacrificed everything to dare to dream of and build from scratch a new nation governed by the people themselves. The basic principles that have stood the test of time, still ring true today if we would only listen. Beholden to no one but their own self worth and natural abilities. Equality of opportunity but not of result. A man stands on his own, or fails on his own. In America though, a man can also get back up and try again, harder and better than before to reach his own goals set by himself and no one else. In the days gone by, we had a family growing together. Sometimes multiple generations living and working in the same household to make a place for themselves in the grand scheme of things. Grandmothers & grandfathers, fathers and mothers with children being raised by the golden rule and learning what life lessons needed to be mastered before they too set out on their own. I myself grew up in a world such as this. That iconic Rockwell image was the standard by which we all lived. 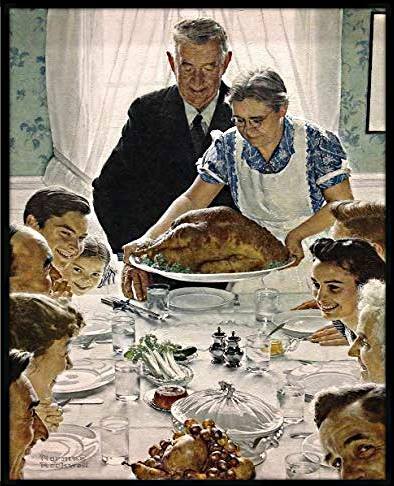 As a boy, all my friends and neighbors lived this Rockwell existence. We all lived this way & we all stuck together. All our fathers worked all day, and all our mothers were at home completing the other half of the unspoken and natural way of things that created an unbreakable bond. Father and Mother, living and working together to build a home and family that would stand the test of time and would produce children that would carry on that tradition and way of life that the entire world is envious of to this day. Faith, family, country, all things that are greater than ourselves. Sadly, this is missing for far too many today. I feel bad for the younger people who never got the chance to live in those days and be forever marked by those timeless attributes that helped make the great and incredibly strong society we had then. A society of one culture, the American culture. A society and culture that won two world wars, put a man on the moon, defeated communism, and built the greatest economic engine the world has ever seen. The younger people have no reference to go by, only what they know today. If they can even be persuaded to put down their phones for a minute. coming from the kitchen. Wouldn't you give almost anything to go back and do it all again? And one last thing. Count your blessings. Take stock of the things you have, and I don't mean just material things. Be thankful that our founding fathers were successful. Remember and cherish the memory of those intrepid men who stood their ground on the green at Lexington and on Concord Bridge. 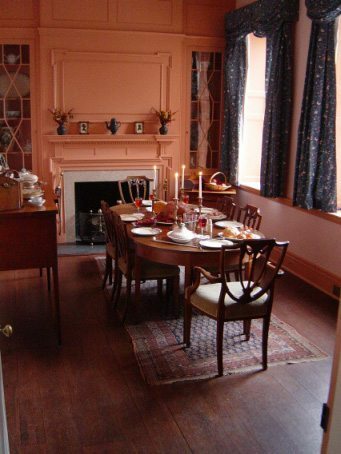 Be thankful that succeeding generations were able to preserve for the most part what they started. Be thankful for the guiding beacon of our founding documents that have served us so well for so long. Be thankful that by divine choice you were born here to be able to do your part in carrying on the enduring promise that is, America. Tracie DellaMaestra Liberatore ‎Washington County PA What's Going On! Best selling author and Civil War historian Jim Douglas will be at the Bradford House Museum on Small Business Saturday, November 24 from 11:00 am until 3:00 pm. 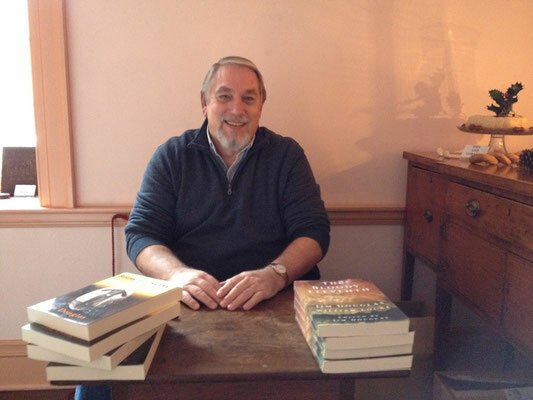 He has authored two Civil War books, Born To Serve, The Major A. G. Happer Story and the companion book, The Bloody Eleventh, A Regimental History, which he will be selling and signing. The museum gift shop will feature the books of other local historians, including signed copies of Washington County Murder & Mayhem: Historic Crimes of Southwestern Pennsylvania by A. Parker Burroughs and Abandoned Tracks: The Underground Railroad in Washington County, Pennsylvania by W. Thomas Mainwaring. The museum will be offering free tours, with docents in period attire in each room to tell the history of David Bradford and the Whiskey Rebellion. 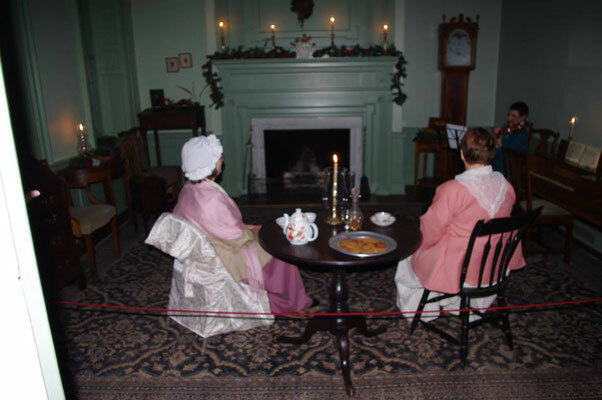 The house will be decorated for the holidays, in the style of the 18th century. 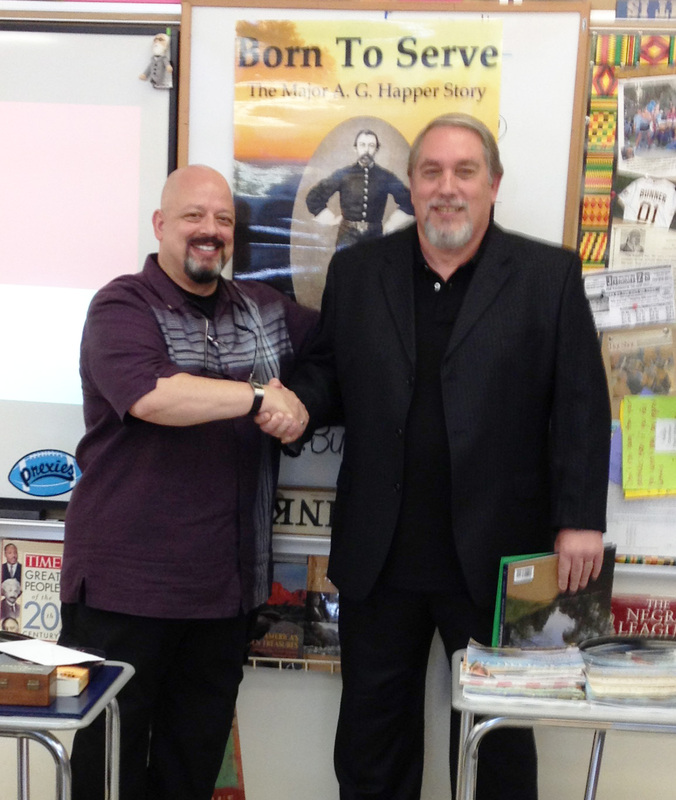 I am the Social Studies Department Leader at Washington High School in Washington, PA.
One of the courses I teach is AP/College in High School U.S. History. I purchased Born to Serve for all my students because it's a great book with a local connection. the hope that some formal recognition and/or monument will be made to cite his contributions to this city. This will be a special project for my students. "Major A.G. Happer was not concerned with his own recognition while playing an instrumental part in developing Washington. 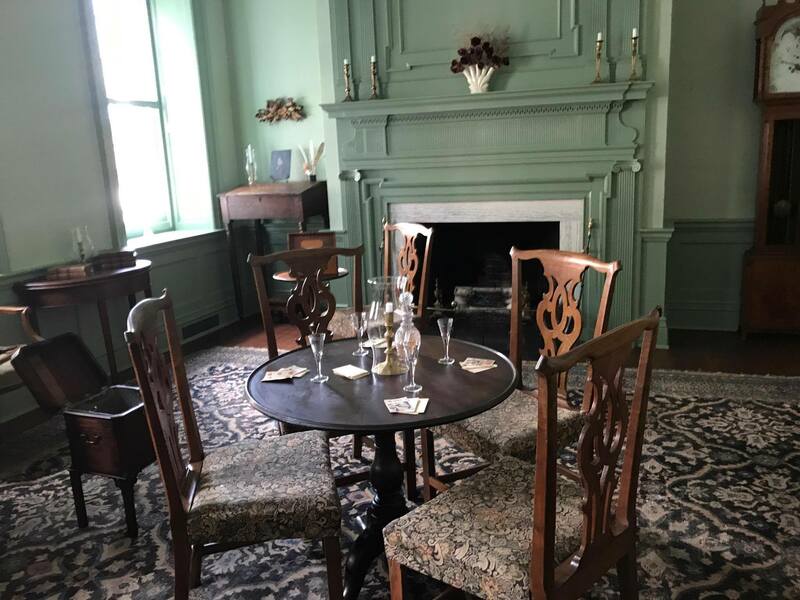 We learned about him only through Jim Douglas’s book “Born to Serve” and felt that it was unjust for such a key figure in our local history to not have any formal recognition in the city. 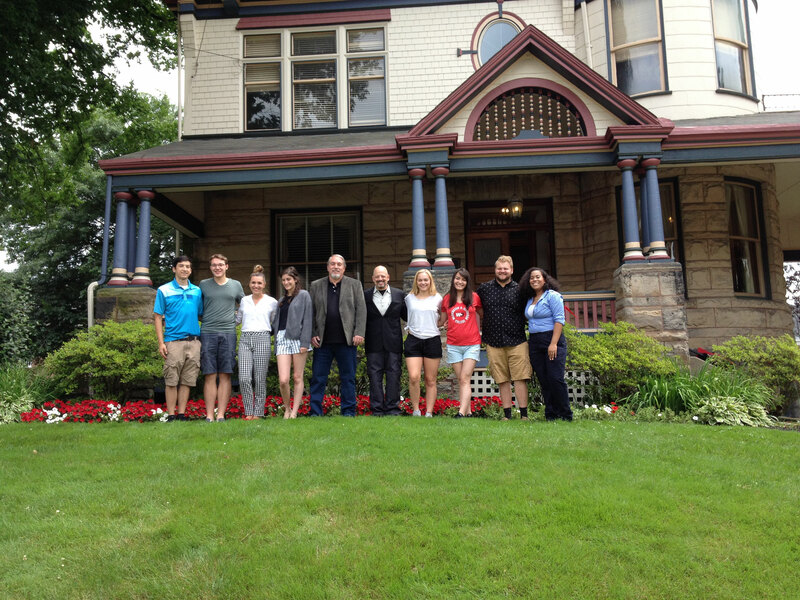 This project allows us to go beyond the classroom to make an impact on our community while learning life skills and applying them to honor an important local historical figure." Also in attendance were my "Chief of Staff" Linda Douglas along with PA State Representative (now Judge) Mr. Brandon Neuman. From the Washington County Historical Society, Mr. Clay Kilgore, and from the Washington Observer-Reporter, Mr. Nate Doughty. The students did a fine job with their presentation. Representative Neuman has begun the process of helping the students with assembling the lengthy application packets for a State Historical Marker from the Pennsylvania Historical & Museum Commission. He also has pledged very sizable portion of the application fee which is considerable. 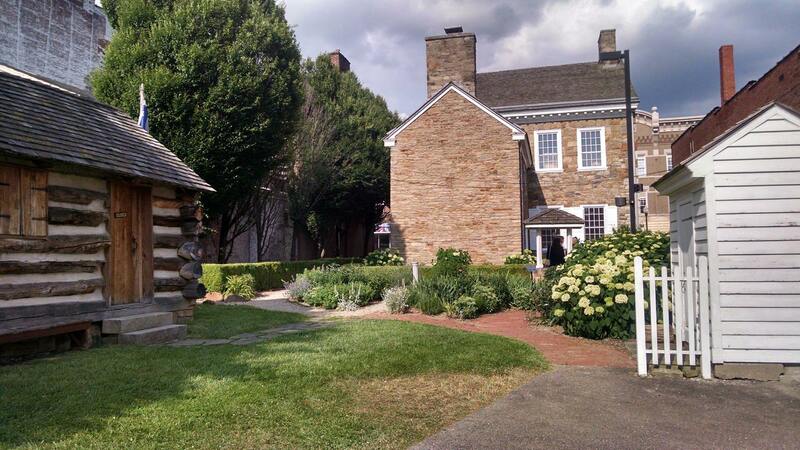 The goal is to have the marker erected in front of the Major's home which is now the Admission Offices for Washington & Jefferson College. I have been given the honor of writing the text that will appear on the marker. The Washington County Historical Society also has a recognition event planned to coincide with the marker's unveiling ceremony. More on that to come later. 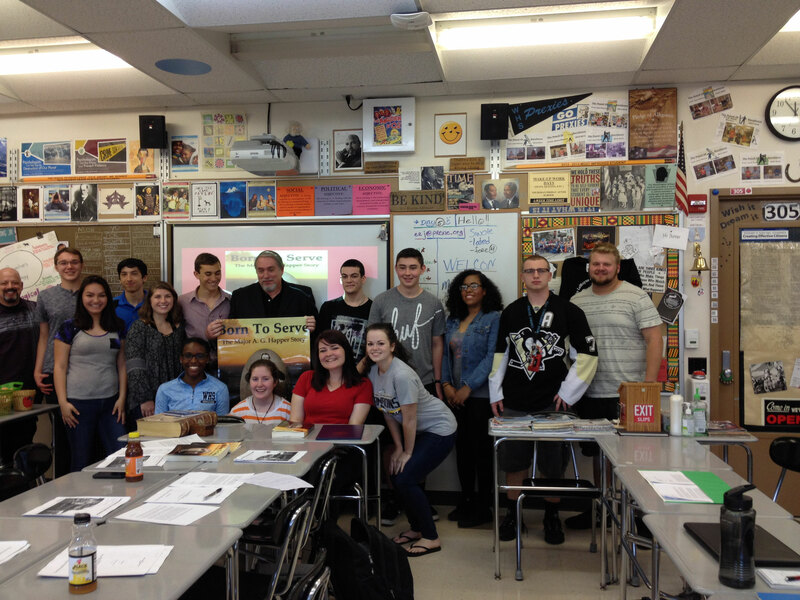 The students also have other goals for Major Happer. 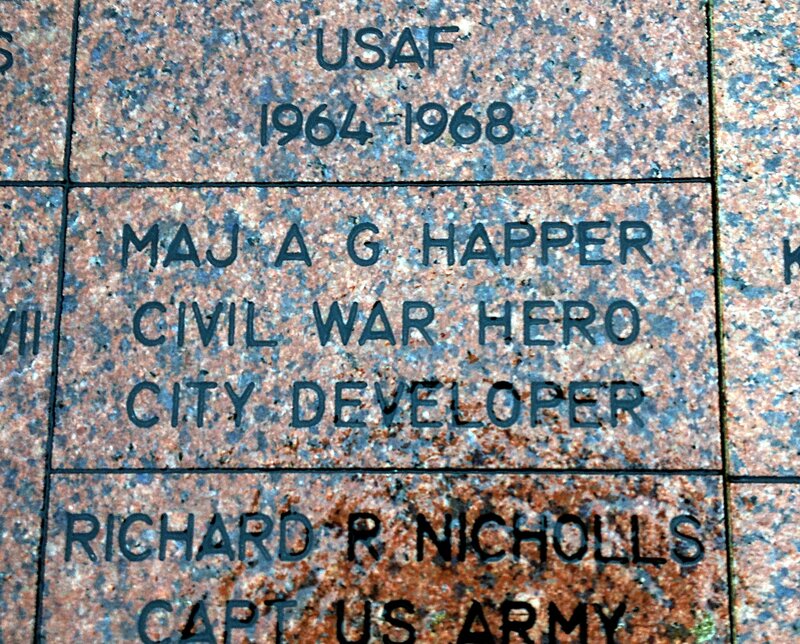 A brick on the Veteran's Walkway, a historical plaque affixed to the Major's house, having the Major's home declared a Historical Landmark, and a statue to be recognized by the city. As you can see, they are quite lofty goals. The students have been working on this for quite a while & have achieved great progress. Below are a few pictures of the festivities yesterday. 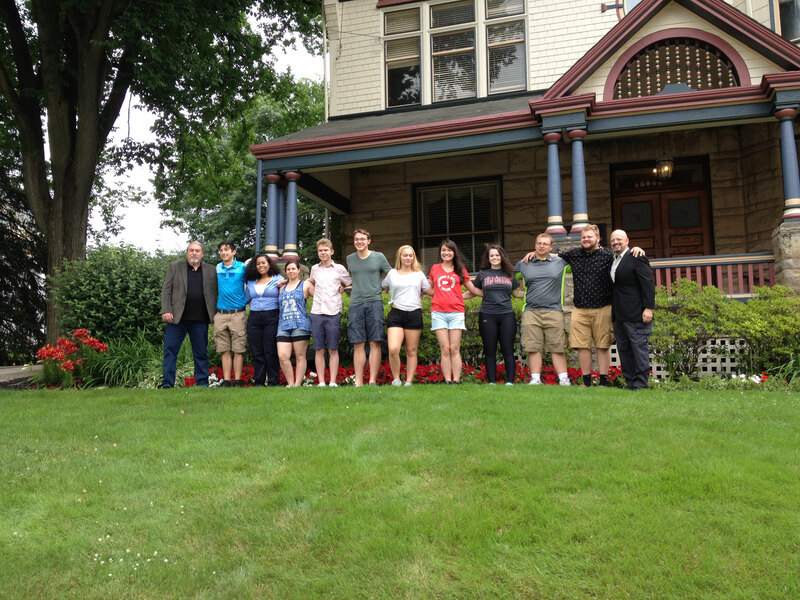 I have never worked with a finer group of young people as are these students from Wash High. I predict they all will achieve whatever they desire in their lives. There is more to come! Stay tuned. BTW, Wash High is celebrating their 150th year! Check out the free previews below!